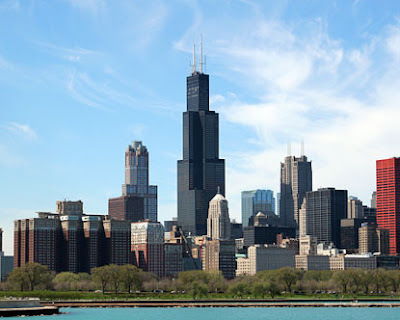 Summary: Chicago has the highest number of LEED-certified buildings in the United States, the highest square footage of green rooftops, and a longstanding commitment to green building. Summary: Federal officials began a sweeping crackdown on pollution in the Chesapeake Bay on Friday - threatening to punish five mid-Atlantic states with rules that could raise sewer bills and put new conditions on construction. Summary: To help improve water quality in the Potomac River and the Chesapeake Bay, the U.S. EPA has reissued an operating permit for the Blue Plains Advanced Wastewater Treatment Facility that requires a steep cut in nitrogen discharges. Summary: The GEORGE bus,once operated by the City of Falls Church, made its last run on Friday. Summary: Staples and SunEdison today unveiled a 1.5 megawatt solar power installation at the Staples distribution center in Hagerstown, Md. Combined with the recent solar installation at the Staples fulfillment center in Hanover, Md., Staples is now hosting more than 2.5MW of solar capacity in the state of Maryland alone. Summary: Metro officially unveiled new Metrobuses and MetroAccess vehicles today, September 13, and offered a sneak preview of early construction on a new bus body and paint shop funded by federal American Recovery and Reinvestment Act (ARRA) dollars. Summary: The White House released federal agencies’ sustainability plans, providing the first detailed glimpse of how the government plans to decrease its greenhouse gas emissions over the next 10 years, the New York Times reports. Summary: Area transportation officials are developing a plan to combat the Washington region's mounting traffic congestion and funding shortfalls with a mammoth new system of toll roads spreading across almost every major local roadway. Summary: The District Department of Transportation and Arlington County have teamed up to launch a new bike-sharing system, the largest in the country. Summary: DC and Arlington deserve a lot of credit for having the vision to bring modern bike-sharing to DC, and as a result, things will never be the same again. Most aspects of e-waste not regulated in U.S., Va.
Summary: Virginians are creating piles of potentially dangerous waste. The problem is old electronics, or e-waste -- computers, cellphones and other gadgets that people toss because they've found something newer and shinier. Summary: At their Sept. 14 meeting, Leesburg Mayor Kristen Umstattd and the Town Council voted to delete the planned Southwest Connector Trial from the town’s Capital Improvements Program and also to move forward with Phase I of the Downtown Improvements Project.